Dr. John Paulson is the new partner and full time veterinarian of Value Pet Clinic in Shoreline. Over the past 20 years as a veterinarian he built a very successful practice in Silverdale, Washington, with an interest in orthopedic surgery, soft tissue surgery, and preventive care. 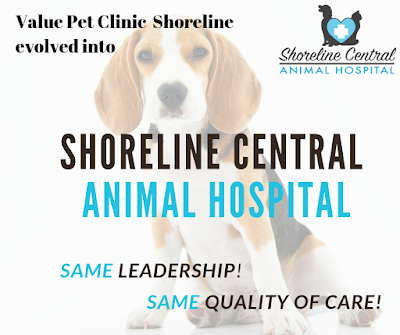 I am delighted to bring this experience and high level of client service to Shoreline and look forward to earning your trust in providing individualized and compassionate care for your cherished pets. As your veterinarian I am committed to always working hard for good outcomes and providing honest medical explanation. The clinic is evolving into a full-service neighborhood veterinary practice and the name will become Shoreline Central Animal Hospital. But rest assured! Despite the name change, our hospital will continue to deliver the same quality of medical care and economic VALUE you have grown accustomed to. In 2019 services will be expanded to improve the delivery of high quality veterinary care. Dr. Paulson says, Thank you again for entrusting us with the care of your cherished pets and look forward to meeting you in person. I hope you will give us the opportunity to earn or re-earn your trust.